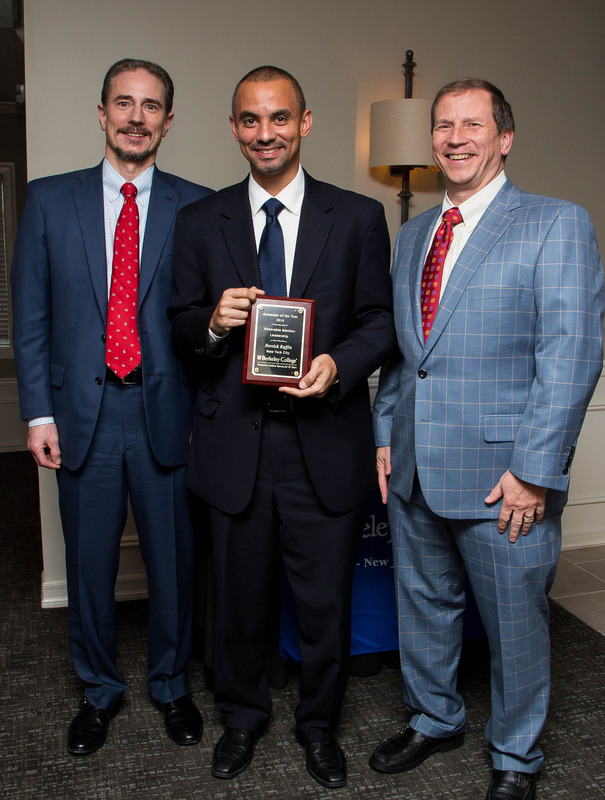 Photo Caption: Berkeley College recently recognized Derrick Ruffin, Senior Director, Adult Admissions, Midtown Manhattan (center), with the 2016 Honorable Mention Associate of the Year Award for Leadership. Mr. Ruffin is a resident of Baldwin, NY. The award recognizes an individual who inspires others to achieve the institution’s mission. With him are Randy Luing, Vice Chairman (left), and Kevin Luing, Board Chairman, both of Berkeley College.